Visual speech recognition - computer assisted lip reading - developed at the University of East Anglia - could help in a variety of areas. Science fiction fans have seen this future before. 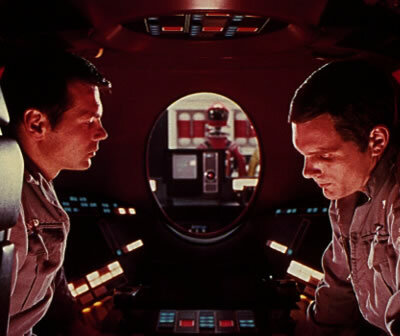 In the film 2001:A Space Odyssey, the HAL 9000 computer was able to read lips. In the film, HAL's increasingly erratic behavior becomes a matter of concern for the astronauts. Since HAL can effectively monitor every part of the ship, the astronauts retire to a small pod to discuss the matter. Unfortunately, it turns out that somebody did research on computer lip-reading, and so HAL was on to them, with very unfortunate results for Poole.